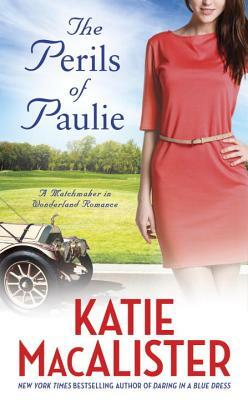 A fast and furious new Matchmaker in Wonderland novel from the New York Times bestselling author of Daring in a Blue Dress. Sheltered by a strict father, Paulina Rostakova spends her time working for the family business and yearning for some grand adventure. So when contestants are needed for a reality show reenacting an historic 1908 car race across the US, Asia, Russia, and Europe, Paulie jumps at the chance to get behind the wheel of a vintage car. Dixon Ainslie has nothing to lose by entering the race, except the rut he’s been in since the death of his girlfriend years ago. But as other racers begin to drop out, the producers want Dixon to join forces with Paulie—on one condition: they have to pretend to fall in love and get married. Katie MacAlister is the author of Daring in a Blue Dress, A Midsummer Night’s Romp, The Importance of Being Alice, It's All Greek to Me, and the Time Thief, Light Dragons, and Dark Ones series.